Not all of us cannot afford a villa with a private garden. Most of us live in smallish homes and apartments, but that does not mean you give up on your dreams of owning a pet. Dogs are a man’s best friend and having the company of a dog is probably one of the best experiences you will encounter in your life. Many people feel that dogs need larger spaces to live. That, however, is not completely true. There are a few breeds of dogs that you should be aware of who are perfectly capable of living in smaller spaces with you. They are quiet, easy to handle, maintain and groom. 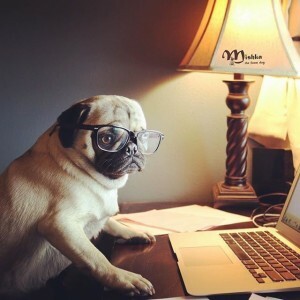 One of the most popular companion dogs, pugs, belong to the category of the smaller sized canines. The most distinctive feature is their wrinkly face that makes them adorable, but their wrinkles have to be groomed occasionally. Being small in size, they will fit perfectly in your apartment. They are curious by nature and are known to adjust well to their surroundings. Some pugs love exploring the outdoors, whereas some pugs love being lazy, sleeping all day and snoring. They generally do not bark loudly, love socializing with everyone, especially children and love being cuddled. With a pug in your apartment, everyone will love to visit you, even your angry neighbors. But do bear in mind that they can have trouble breathing due to their short snouts – so need extra care in the summer months to keep them safe. Greyhounds, the mellow house dog are tall and lanky in nature. People usually have a misconception that greyhounds are not a good option as apartment dogs. But, dog enthusiasts and owners know that greyhounds are actually couch potatoes. They do not prefer or require being physically active and can be the best partner to laze with. Of course, like every other dog they do need exercise at least twice a day, but after that they are content to relax. They are indeed very intelligent, laid back and the best dog to relax with. Owing to the fact that they have short hair, they even require less grooming. If you are someone who often gets busy with work, then don’t worry, they enjoy solitude too. If you are thinking about one of these beautiful dogs, then please first consider adoption from the greyhound rescue organisations around Australia. Anyone who has watched “Legally Blonde” will know that this is the smallest yet the bravest apartment dog on this list, and Chihuahuas are considered to be a girl’s best friend. They are often preferred as pets by wealthy celebrities, but they are actually extremely low maintenance and can be carried around in your handbag. 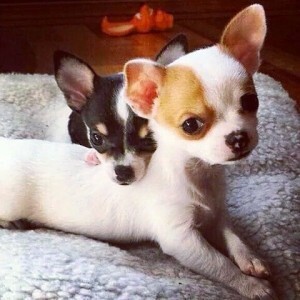 Chihuahuas love attention, but they do not like too much socializing especially with children. But look at the brighter side, you will not be disturbed by your neighbors and you can leave them alone in your house too since they can be content with solitude. Even though they can be loud sometimes, they need grooming once a week and they are great apartment dogs. Let’s not forget, the tiny-err-the cuter. Find out more about this gorgeous little pocket rocket here. 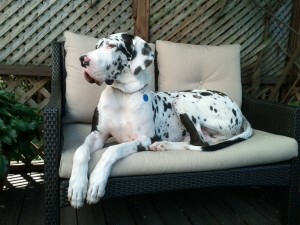 It is hard to believe, but, Great Danes do make the most wonderful pet for apartments. Disregarding their giant appearance, their nature is completely the opposite. They are extremely quiet, calm, patient and friendly dogs. They love to laze around with you, but they are huge and may even require their own couch. You both together can be couch potato buddies. 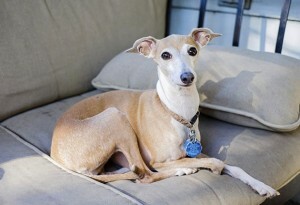 Similar to greyhounds, they do not prefer physical activities even though they have a tall and lean physique. Strangers will definitely be scared of your Great Dane and your house will always be safe. The only downside of their maintenance is that they eat a lot of food (cost! ), and are a bit slobbery (sorry all the Great Dane lovers out there!) Apart from that they can definitely be at home in a smaller space. 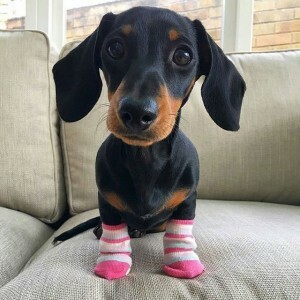 The short-legged and long-bodied dog, Dachshunds were originally bred for hunting animals like rabbits and foxes, but now they have successfully made their way into the list of apartment friendly dogs. Don’t be fooled by their size, they are extremely clever, courageous, friendly, playful and devoted to their owners. You should keep a check on their weight as they tend to gain a few pounds easily. So, they should be taken on their daily walks and over-eating should be avoided. They do get loud sometimes; nonetheless, they are extremely cute and make a great pet for families living in apartments. 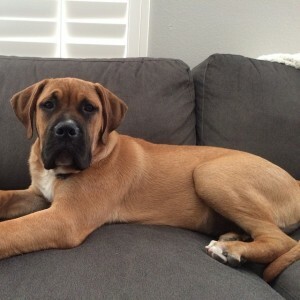 A Bull Mastiff is a large dog that can be apartment friendly, and is also low maintenance as they have a short coat and do not shed much hair. This may be a surprise to you that even though their size is beastly, they have low energy levels. 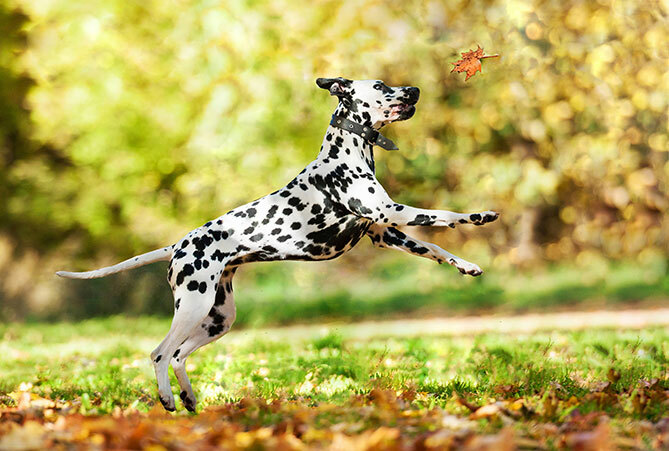 However having said that, exercise is important for them to avoid obesity, and it is very important that they get early, consistent obedience training. They are extremely calm, loyal, protective and courageous. 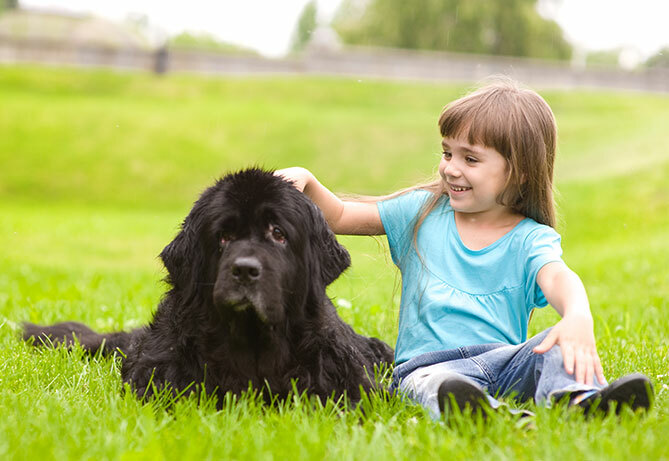 If you live in an apartment and have children, then getting a mastiff is a great option, however you will need to bear in mind their size – they may not be suitable if you have very small children because they are so large it will be difficult for the children to control the dog. Once they are part of the family though, they would be very friendly with the children. Originally bred to attack intruders, your homes will the safest with them around. They do not bark unless there is genuine danger. 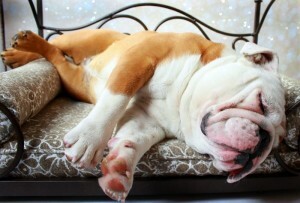 One of the laziest yet one of the toughest breeds on this list, the English Bulldog (as opposed to the French or Australian Bulldog) is often considered to be extremely protective of his/her owner. They may look angry, but they are calm by nature. Being lazy, they are not really fond of exercise outside their regular walks; do not bark much and they love sleeping all day. They love snoring too. Just like pugs, they have a wrinkly face and the wrinkles should be cleaned every day. They are very children friendly, and a bit goofy, but prone to various health issues in particular respiratory problems. They are comfortable in small spaces, and will enjoy snoozing on your couch most of the day. 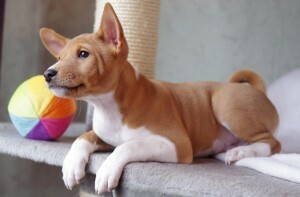 Originally bred for hunting, a Basenji’s ears perk up as soon as they hear something suspicious. 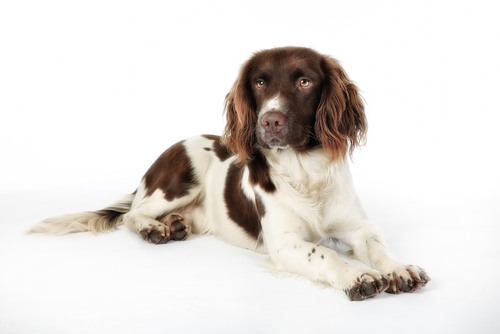 They are medium sized dogs who are curious, alert, energetic, playful and affectionate. They are extremely loyal and protective of their owner. If you are unable to decide between being a cat or a dog person living in an apartment, then a Basenji can solve this confusion. They have feline-like tendencies. They groom themselves, but they are prone to escape, just like cats. They will be perfect for apartments since they do not shed hair, do not bark and they can keep you safe. Remember to give them their daily dose of ample exercise. If you would like to find out more about this lovely dog, contact the Basenji Breed Network. 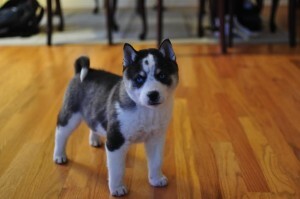 Probably the cutest dog on this list, this is a mixed breed of a Shiba Inu and a Husky and called shiba inu husky mix. A medium sized dog with a wolf-like face and colorful eyes. 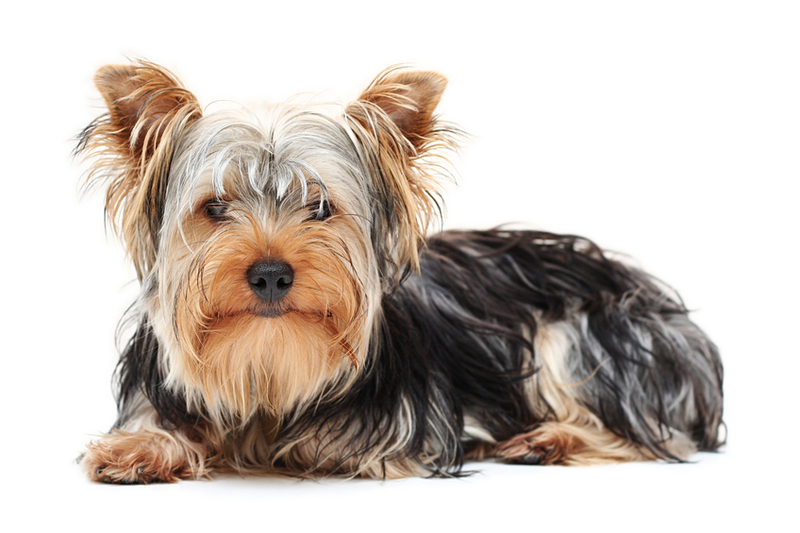 They shed excessive hair twice in a year and require daily brushing, otherwise, they are low maintenance. They can either be extremely clingy and outgoing or self-reserved. They do not bark except the occasional loud noises they make when they are displeased with something. Being intelligent and dominating, they can easily manipulate you to get something they want with their beautiful colorful eyes. Their ideal environment may be a large sized home, but they can be kept in apartments if you can provide them with a lot of playtime and daily strolls twice a day. In conclusion, this list gives you ample information about small, medium and large sized dogs that are low maintenance and would be happy to live with you in your small apartment or home as long as you love them unconditionally and give them their favorite dog treats. But of course it is not a complete list so always ask your vet for advice if you are in doubt about the suitability of your environment for your pet. But MOST IMPORTANTLY, every dog, regardless of size, disposition or living conditions must most definitely get at least two daily walks – to keep him healthy, stimulated and well socialised.